Traction: OmniTrax Interchangeable Sole System adapts your traction to any fishing condition. Support: 5-Ply Fit System locks foot in place for a comfortable and secure fit. 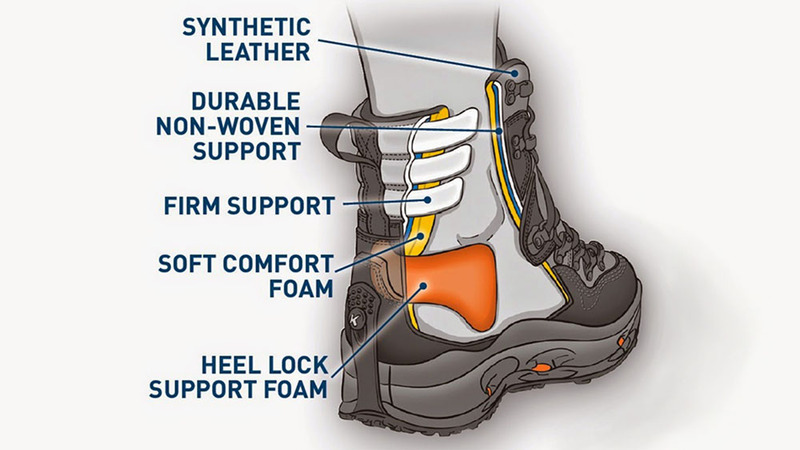 Fit: Combination of friction-free rolling lace guides and locking lace cleat provide a customized bi-zonal fit. Fast Drying: Hydrophobic materials = faster dry times which lessen the chance of spreading invasive species. Durability: Enhanced mid-sole, triple layer synthetic upper, protected stitching, 3D molded toe and heel cap. Click Images at left to enlarge. Several members of the high profile fishing staff at The Fly Fishing Shop wear Korkers K5 Bomber wading shoes. 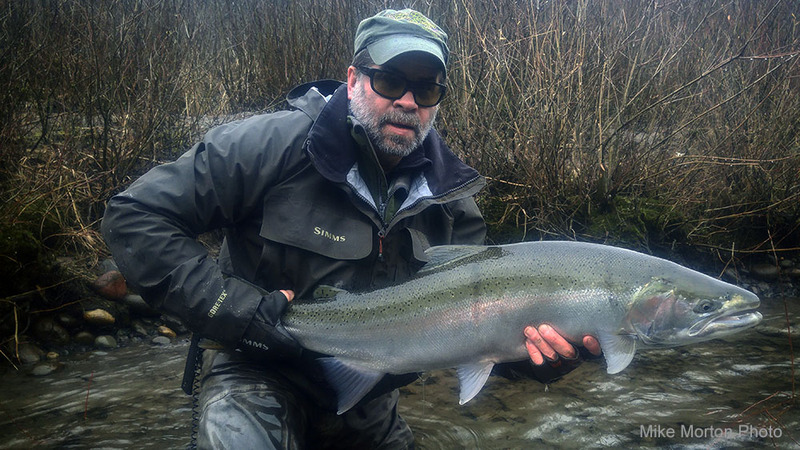 One such angler is Tony Barnes (pictured below), who fishes for steelhead several days each week. Tony does a lot of hiking, and we are pretty sure that if the Korkers K5 Bomber wading shoes perform for Tony, they will hold up for other aggressive type anglers as well. Tony says, "You can't tell much about how good a pair of wading shoes is the first season. It is only after a full year that you can tell whether you got your money's worth. I am going into my second year. 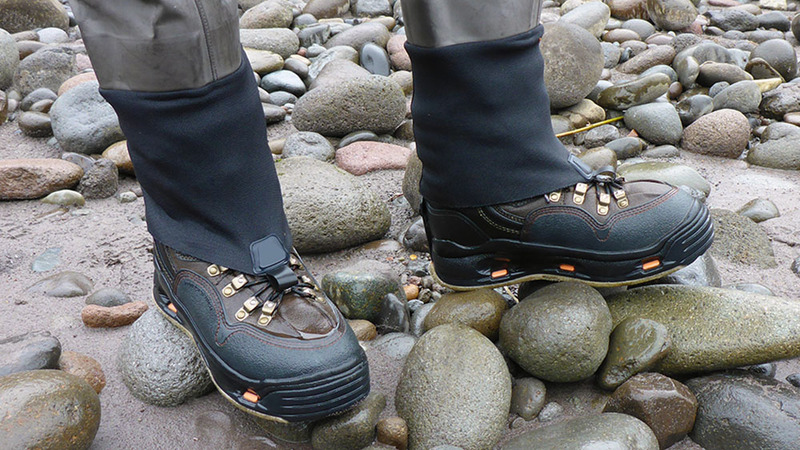 The Korkers K5 Bomber wading shoes are durable, and give the best foot support of any wading shoes I have worn."